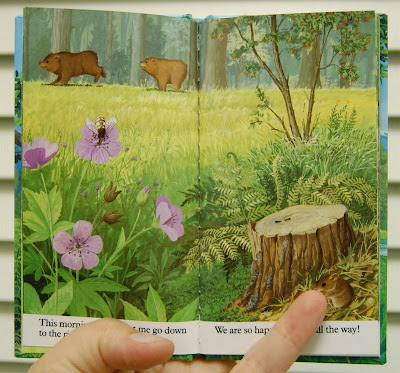 Vintage Kids' Books My Kid Loves: I am a little bear. This is gonna be a little shorty for a little shorty since I'm so late posting... but who doesn't love wee tiny books? Seriously, I keep this one in my purse in case I need a last minute distraction for the boy at the checkout counter. There is a whole series of "I Am A Little" and "I Am a Big" books (like I Am A Little Rabbit) that are both physically big and mini, but the palm-sized minis have definitely stolen my heart. Created in the 80s and 90s, there is one for almost every animal you can imagine from whale to koala to monkey to duck to giraffe to caterpillar. 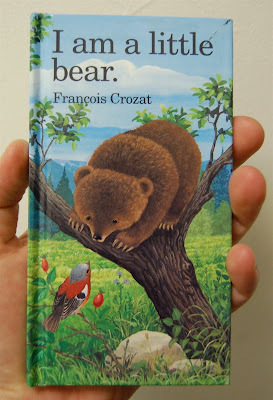 Crozat is a wonderful artist, creating drawings that hark back to a simpler time in illustration. 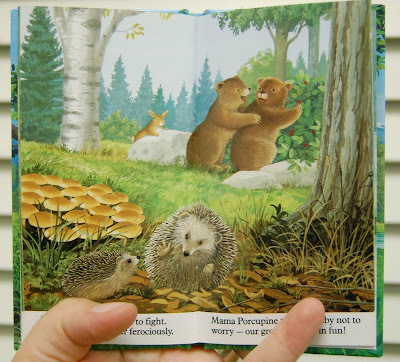 All his books have that warm naturalist feel and seem like they were plucked right out of the 60s. I wish I'd discovered his stuff when my son was younger cause you can bet I'd have collected the whole lot of them by now. Reminds me of the innocence of "I am a Bunny"